Strolling the Avenida da Liberdade after staying in uptown (literally) Barrio Alto for four nights, we felt as if we’d found another Lisbon, a different Lisbon. This one had replaced second hand and alternative clothing shops with Emporio Armani, Louis Vuitton and Prada outlets; swapped narrow, near-vertical streets with trams trundling up and down their centre with a tree-lined avenue the size of Champs Elysée, and substituted old ladies eating pastries in pastelerias and hedonists drinking in the streets, with Gucci wearing shoppers and suit-clad businessmen. Slightly bewildered, we turned off the Avenida and headed back a couple of streets to where familiarisation returned in the form of small restaurants and mini-markets, pavement cafés and the wrought iron balconied façade of Inspira Santa Marta. 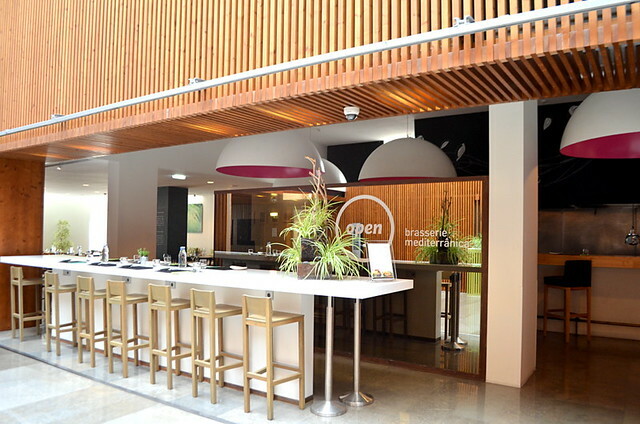 Lisbon’s first ‘green’ hotel which uses 100% reusable energy, the hotel’s Inspira water is served in glass bottles and the proceeds from its sale are donated to PumpAid for the acquisition of water pumps in rural Africa. To date, the hotel had funded a new pipe every year since it began the initiative. 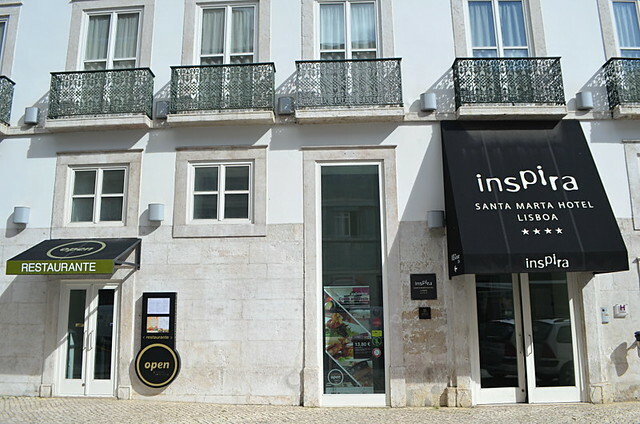 Hotel Inspira de Santa Marta is a young, vibrant and welcoming Lisbon hotel which combines urban chic and eco-friendly practices with state of the art technology to create the ideal city base. 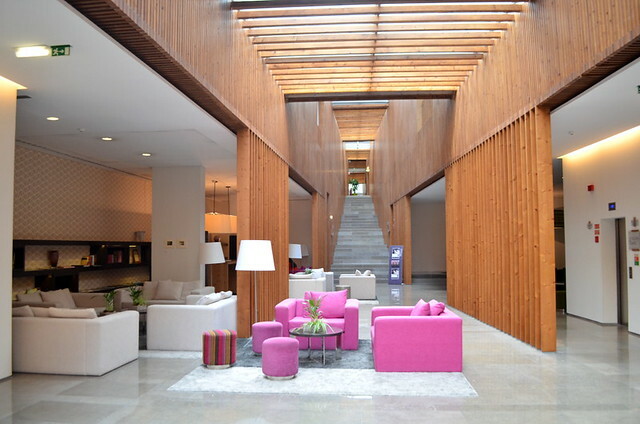 A friendly, funky, four star boutique hotel with a stylish bar, a good breakfast and complimentary access to sauna, steam room, Jacuzzi and gym, Hotel Inspira de Santa Marta is a good value for money option. Designed on the dual principles of Feng Shui and sustainability, it’s also a great spot for unwinding and relaxing after heavy duty city touring. 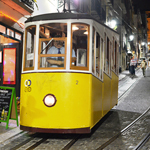 Three streets back from the upmarket Avenida Da Liberdade, it’s perfectly located for exploring the north of the city on foot and is in easy distance of metro, rail station and the Chiado and Rossio Squares. 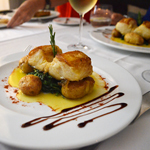 There are several good restaurants and supermarkets as well as high end shopping on its doorstep. 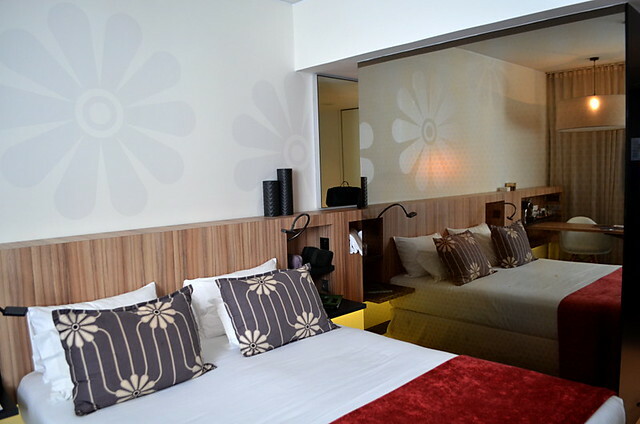 72 standard double rooms combine the principles of Feng Shui with hip, retro design in warm and vibrant tones. 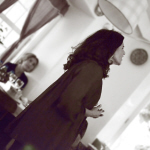 Materials, colours and layout are all designed to enhance relaxation and ‘remove the stagnation of energy flows’. Lighting control lets you change the ambience with settings like ‘welcome’ and relaxation’, and the free-standing, opaque glass shower unit with rainhead shower brings a highly stylized aspect to the space. The minimalist wardrobe space (just four hangers) is compensated by oodles of shelving on the wall-length headboard and there’s a Nespresso machine with complimentary daily capsules. With one, large recliner and one desk chair along with a small desk, it did feel a bit like the room was designed more for one person than two, on the other hand the floor space was generous, the bathrobes were fluffy and the bed was big and amazingly comfy. 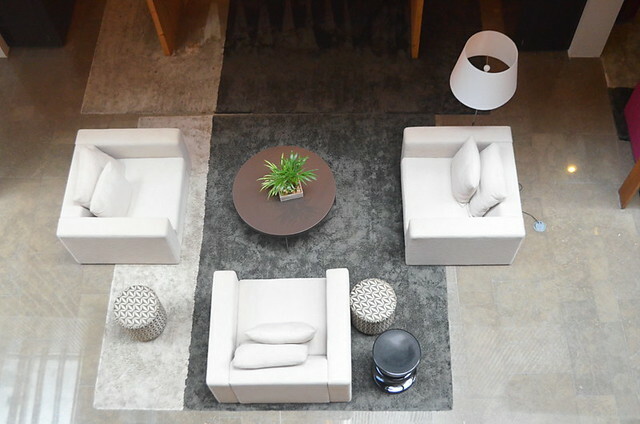 Suites give more floor space, a separate living area and a very cool, circular bath. In line with its green policies, tap flows are set to low but that doesn’t impair the shower performance, only the hot tap in the sink which is a bit slow to get up to heat; toiletries are minimal, re-cycled and only replaced when empty; towels are only changed every few days unless you request otherwise and there’s in-room re-cycling. There’s free wifi in room and there are audio sockets for plug & play and cable and usb. There’s a small gym, a sauna, steam room and Jacuzzi for the complimentary use of guests and a menu of treatments which can be booked at additional cost. The hotel lobby is a bustling space staffed with super efficiency by multi-lingual receptionists who double as city guides, pointing out the best places locally to see, shop and explore. A comfortable lounge area and internet corner sit alongside the stylish bar and restaurant where the buffet breakfast is served. A select menu of fresh, local and where possible, organic, Mediterranean style dishes are on offer in the Open brasserie for lunch and evening dinner. There are gluten-free and vegetarian options on the menu too. Breakfast is served in the restaurant and, for a country that doesn’t really do breakfast, is a comprehensive selection of fresh fruits, cereals, breads, pastries, meats, cheeses and hot dishes. Fresh juices and good coffee complete the morning’s culinary wake-up. Hotel Inspira Santa Marta, Rua de Santa Marta 48; (+351) 210 440 900; double room with breakfast from €124 (£98/$158) per night . 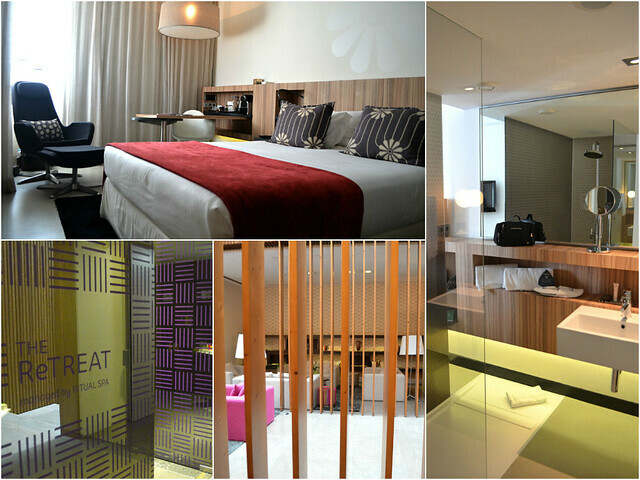 Buzz Trips stayed at the Hotel Inspira Santa Marta as guests of Turismo de Lisboa and are at liberty to make our own judgements and publish our own opinions about the hotel, which is exactly what we’ve done.